Al and Pete's wants to share their hunting and fishing experience with you. The mosquitoes are starting to show up in south Michigan seeming later than normal. When Pete got up to Baldwin three weeks ago the black flies and no-see-ums were coming out strong. Pete tried Repel's "Gear Smart," a relatively new insect repellent containing "Picardin." The order is almost like fermented fruit, it does not have to be used heavily and did an excellent job of keeping the black flies and no-see-ums at bay. Pete has high hopes for equally good results on mosquitoes. 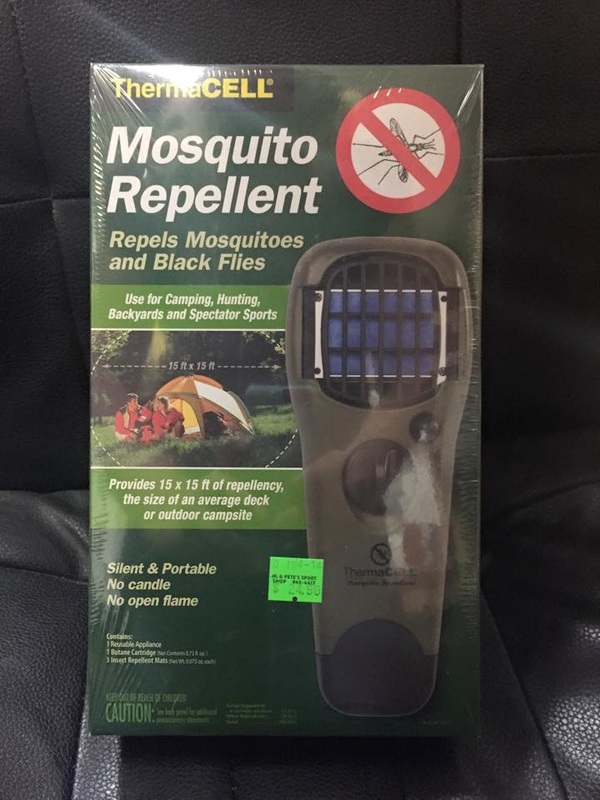 Another great mosquito repelling device is the Therma-Cell, a heat dispersed vapor that does an excellent job keeping away black flies, mosquitoes, and no-see-ums. It is all contained in a plastic appliance approximately 2"x 3"x 8" and sells for about $25.00. Talk to anyone that's used one and they love the way they work! 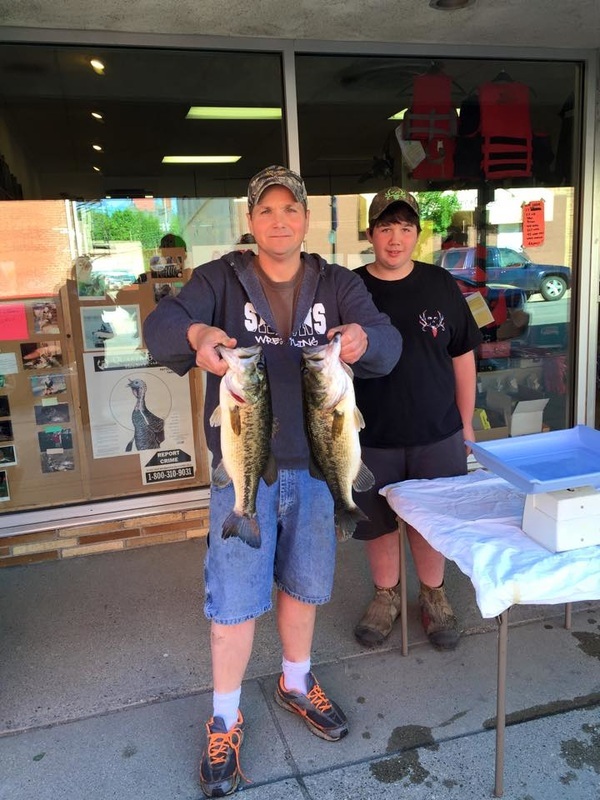 Pete's Baldwin Fishing Report to Follow! Bass and pike action has picked up in the local lakes! We also got a report of hexagenia hatches starting in the AuSauble River system. Pete is hoping weather conditions will allow him to head upstate next week so a report from the Baldwin area June 28-30 will be available if water conditions are not too high. Blue gills and sunfish are still the center of attention for most of our customers! Success varies with temperature and wind conditions. Wax worms and red worms are productive live baits. Poppers, sponge spiders, and sinking nymphs are key to fly rod success. Some walleye action is starting on the east side of the state and in some northern Michigan waters. Small mouth action was good last week on some northern lakes. A couple of our customers showed us pictures of numerous small mouth, all of which were released. Pete saw some day time hatches of sulphers, what appeared to be hendricksons and some mid size stoneflies on the Pere Marqette last Tuesday. Time to snag some bluegills. Update on bass contest. The bluegills are starting up on beds and have begun biting on sponge spiders, sinking flies, and bait. 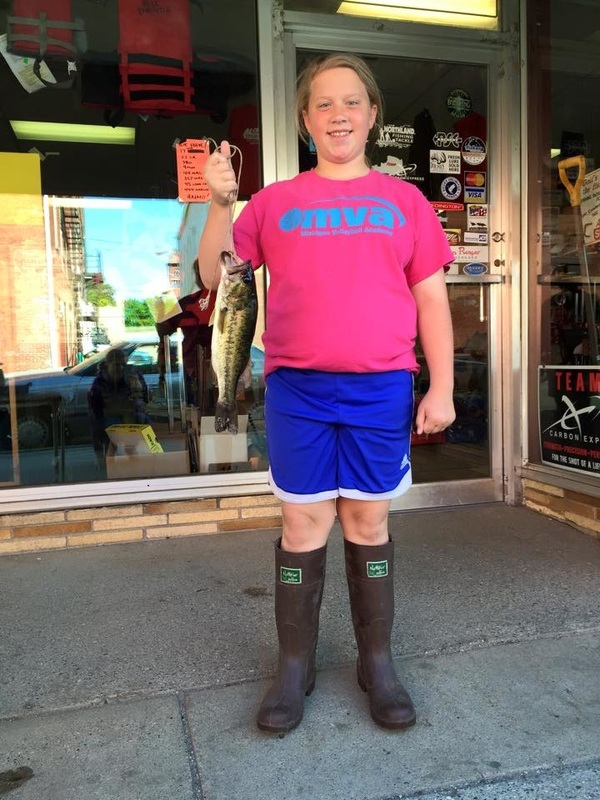 We've got everything you need to snag some bluegills here! Also, mosquitoes haven't been much of a problem yet this year. 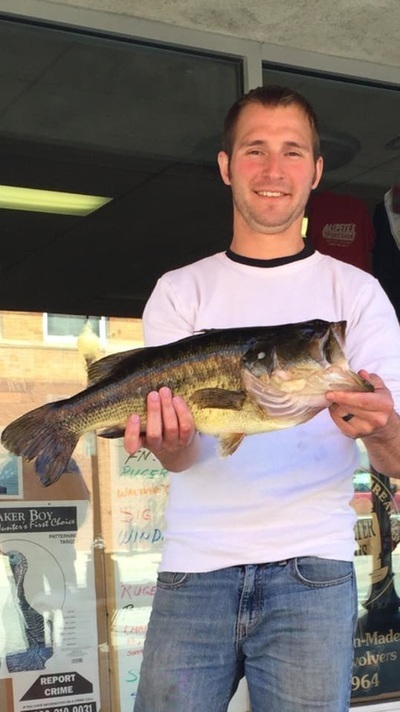 We'd like to correct a mistake we made while weighing in the bass during our contest. We did not correct or compensate for the weight of the tray that was on the scale used to hold the bass. This added about one pound to every entry. 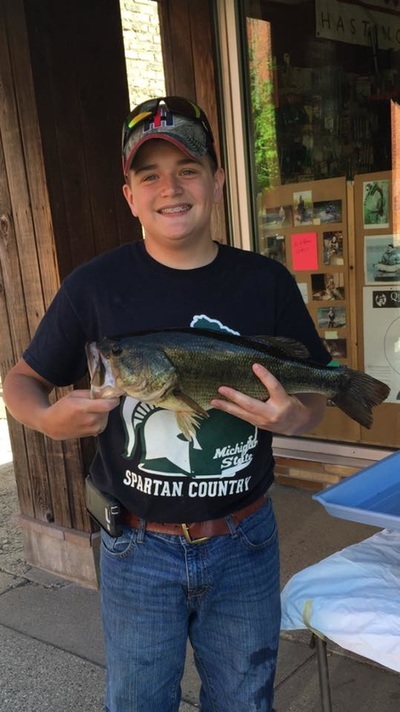 However, every bass was weighed using this method so it does not change the placings of our competition, just subtract a pound to get the correct weight of your bass. Sorry about our misunderstanding, thanks again to everyone who participated! 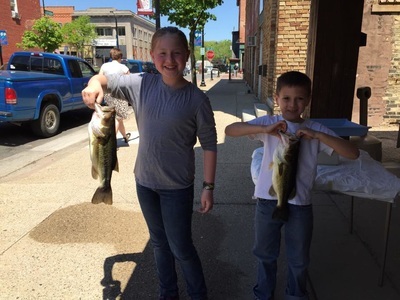 Here's the weekly outdoor update from Al and Pete's: Bluegills are biting for some anglers fishing on the warmer days. The DNR now allows catch and immediate release for bass all year statewide (unless otherwise closed to fishing). Turkey action is spotty but a number of hunters have brought their birds into the store. There are still turkey tags available for many areas for the May 4th - May 31st hunt. The staff at Al and Pete's would like to share their knowledge and experience to better our customer's outdoor exeriences.